Letsatsi Bridal Venue is situated just outside the town of Vanrhynsdorp next to N7 on the split towards the Northern Cape and Namibia. The venue consists of our historic Catholic Church with its original wooden benches and the original restored organ dating from 1904s. The wish fountain has been restored to his original design. Collect your bronze coins and make a secret wish. 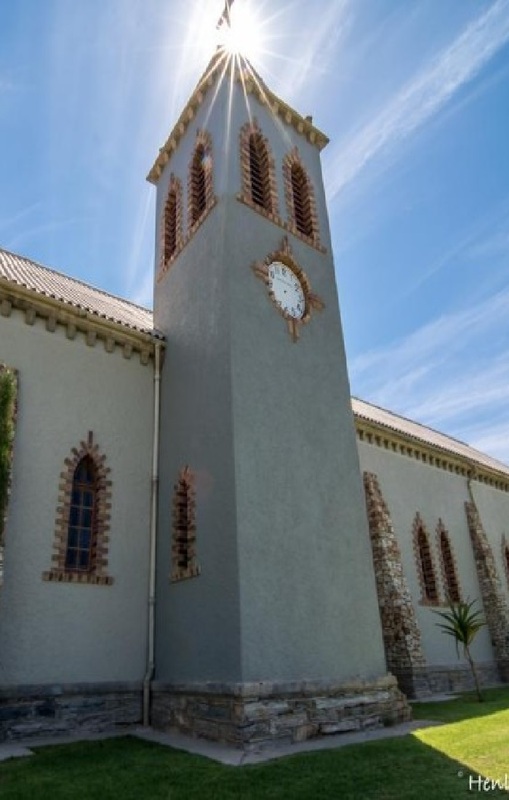 It is the only Catholic Church in South Africa where Afrikaans is used to describe the murals. The church can accommodate up to 200 guests. There are three distinct gardens that can be used as your photo theme. The first garden is a lush green lawn with big palms for that island feeling. The second garden is a forest of Quiver trees (Kokerbome) for that truly Karoo background. Our third garden is inspired by the uniqueness of the Karoo. Succulents of all varieties abound in this small ecosystem.